Based on user feedback on the original system, the MOLLE requirements were modified to eliminate the need for a quick-release frame that integrates into the load bearing vest (LBV). The change allowed developers to replace the probe and socket mechanism, which caused problems in donning for some soldiers and Marines, to a quick-release mechanism for a more traditional permanently-mounted waist belt on the frame. 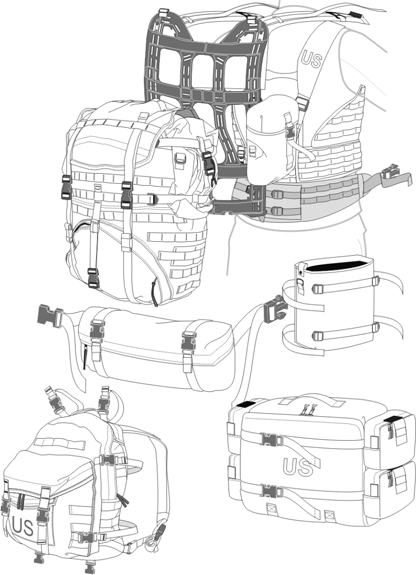 The Interlocking Attachment System is used to attach pockets to the Fighting Load Carrier, packs, and waist belt. The 30 round single magazine pocket was eliminated. 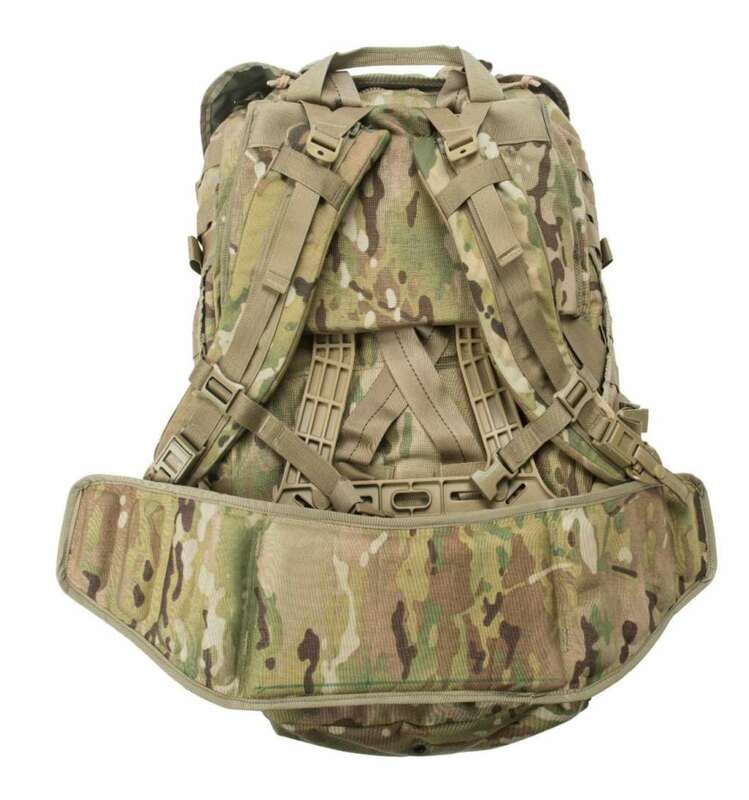 In addition to the pre-configured duty sets, the MOLLE II system has additional components that may be added to meet more specific mission needs. The base fabric used for all pockets/pouches, packs and rucksacks is MIL-C-43734 Class III textured nylon duck, coated on the back side with clear polyurethane and is water repellent treated. The fabric weighs 11.0 to 12.0 ounces per square yard and has a minimum breaking strength of 500 pounds warp and 300 pounds filling. 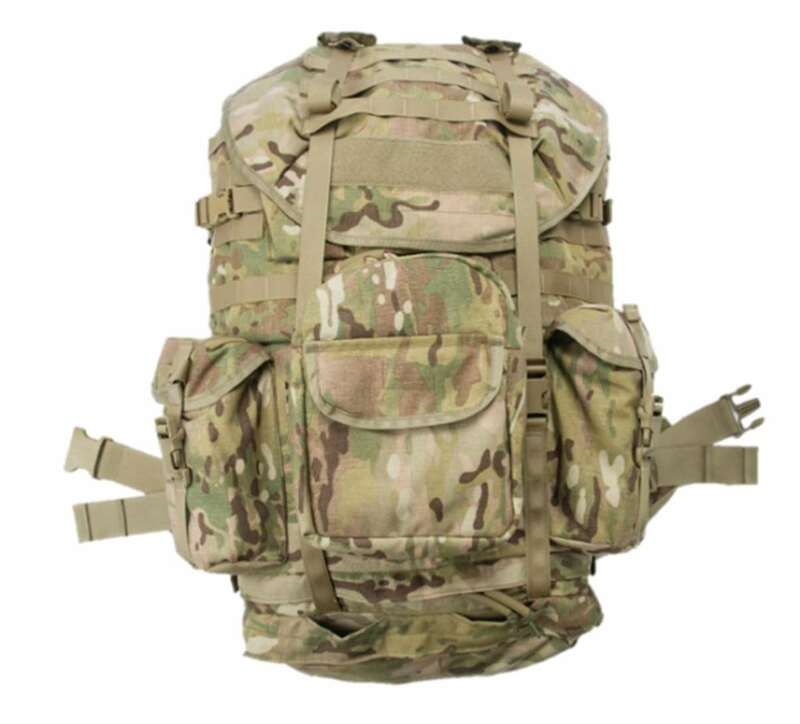 The new MOLLE Rucksack for Airborne and General Purpose Forces is a Government-owned design. It has an approximately 4000 cubic inch capacity and made of 1000 Denier nylon coated fabric, has an external frame, adjustable shoulder straps and an adjustable waist belt. 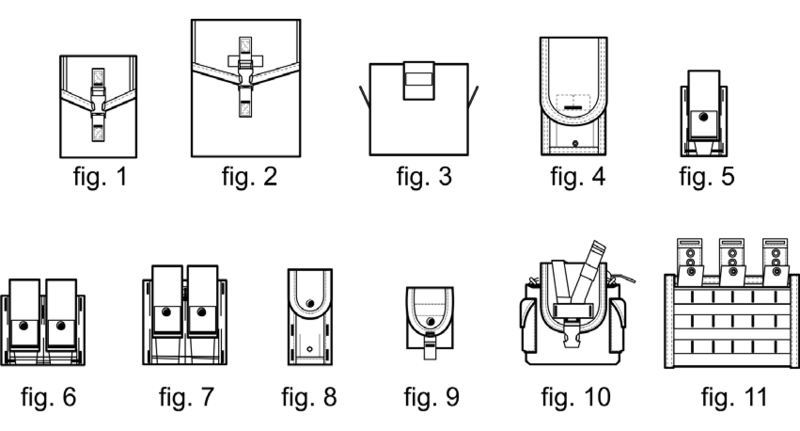 The exterior of the rucksack has multiple storage pockets and pouches of varying dimensions. 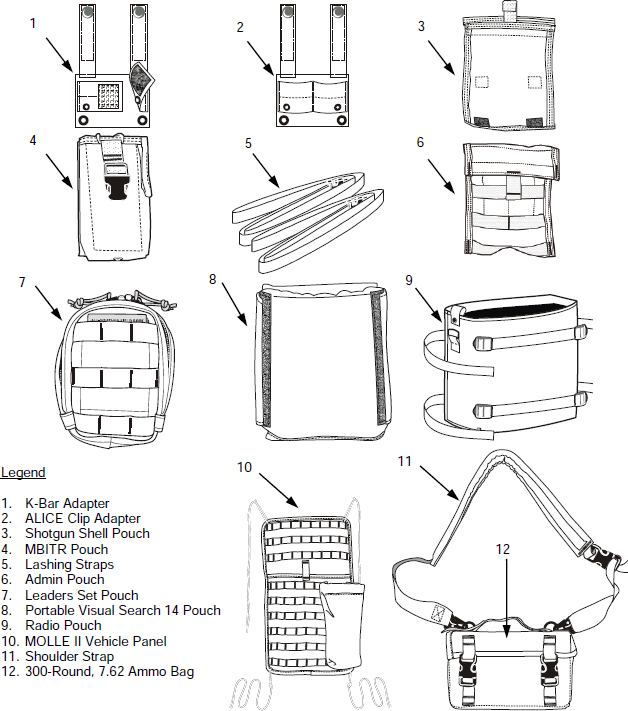 The interior of the main compartment of the rucksack has a pouch for carrying a radio / hydration bladder or other similarly sized equipment. The interior of the main compartment of the rucksack has a center zippered flap that divides the main compartment into two approximately equal upper and lower halves. The bottom of the rucksack has a separate storage compartment and also above that a zippered access into the lower part of the main compartment.